To support its numerous community philanthropic activities and programs in support of children and sight conservation, the Reno Host Lions Club undertakes a number of fundraising activities. Some the activities are once a year events and some are ongoing projects throughout the year. The Buckaroo Breakfast is held annually in June, the morning of the Reno Rodeo Parade in downtown Reno. The Buckaroo Breakfast includes scrambled eggs, sausage, flapjacks, juice, milk, and coffee. It is a great starter for the Rodeo Parade and Rodeo events that follow. The breakfast is open to the public and parade participants at a very reasonable cost. Much of the food and supplies for the breakfast are contributed to the Club. The "Buckaroo" is a major fundraiser of the club and provides camadarie among the many Lions who participate. 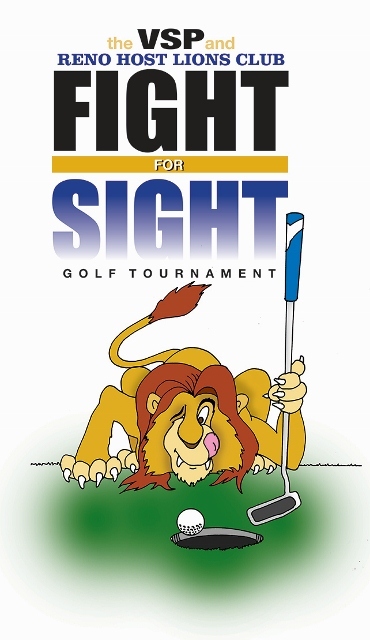 In cooperation with Toiyabe Golf Course and many other businesses the sixth Annual "Fight for Sight" will be held Friday August 30. With a shotgun, scramble format and many raffle prizes the tournament was a successful fun event.To register to play, serve as a sponser, or donate a prize, see www.lionsfightforsight.com anticipated to be "live" again in 2019. Periodically, Reno Host Lions recycle local treasures and "white elephants" through a garage sale which raises funds for Lions programs and charities. In recent years the Reno Host Lions Club has conducted "Raffles" and sponsored "Mystery Trips" as fundraisers.